Statistics show that areas where there is an organized Rural Crime Watch tend to have a significant reduction in criminal activity. By reporting suspicious activity in your area IMMEDIATELY to the RCMP at 403-932-2211 or Airdrie RCMP at 403-945-7200, you are supporting the quality of life in your community. As a concerned group about the quality of life in our community, we must become the extra "eyes and ears" and report suspicious activity to the police. 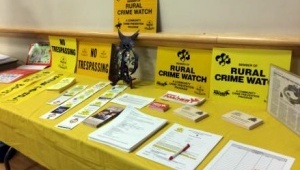 Rural Crime Watch is a part of the Community Based Policing Program. 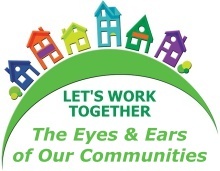 The cooperating effort helps make our community safer for everyone. Rural Crime Watch members commit themselves to helping watch each other's property when they are away and reporting suspicious activity to police. This program helps prevent crime while still respecting the need for privacy. Please join today! Member privileges include ability to purchase signage as well as free access to our Reporter. 2019 annual Membership Dues are $20, and cover the Association's operating costs of postage, computer supplies, workshop supplies, local and provincial poster contests, and participation in the annual Alberta Provincial Rural Crime Watch Symposium. Dues are annual for the calendar period January 1 thru December 31. Besides finding our Membership Application Forms on our website, they are also available at the Cochrane RCMP Detachment Office, Fish & Wildlife Office or from any of the Board of Directors. All new subscribers must fill out a Membership Application Form and return it to Cochrane Foothills Protective Association along with the membership fee. A Membership Card and receipt will be issued. If you have any questions, please e-mail the CFPA Secretary. Please make cheques payable to Cochrane Foothills Protective Association.